The 2019 Audi A5 Sportback is a 5 passenger Automatic transmission, 4-door Sub-Compact Passenger Car. It is available in 3 trim packages, the Premium, Premium Plus, and Prestige. The new Audi A5 Sportback invoice price ranges from $41,548 to $41,548, while MSRP ranges from $44,200 to $44,200. 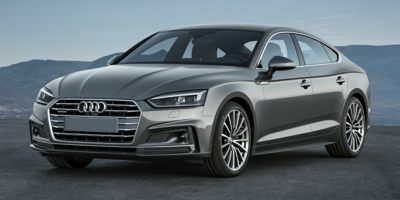 The 2019 Audi A5 Sportback is available in 11 exterior colors, Ascari Blue Metallic, Brilliant Black, Daytona Gray Pearl Effect, Florett Silver Metallic, Glacier White Metallic, Ibis White, Manhattan Gray Metallic, Matador Red Metallic, Monsoon Gray Metallic, Mythos Black Metallic, and Navarra Blue Metallic, and 5 interior colors, Atlas Beige, Black, Black w/Blue Stitching, Nougat Brown, and Rock Gray.